This assignment invited us to look closer at a website that contained a lot of customer interaction and encouraged us to examine how the website facilitated the interchange of information between the website and the user. A Flow chart is a logical way of getting across small/large amounts of information in an easy to understand manner. Thus it seems appropriate to be asked to use a flow chart to covey the information displayed on my chosen website, Commonwealth Netbanking. The flow chart is divided into colours and this helps the reader to engage with the chart and enables the eye to follow the paths with ease to see how different sections are divided and what information is connected with what. The flow chart was completed in Illustrator, this was done after many drafts, on paper and in the program, were sketched. • Appropriate to all ages that have a debit/credit card. 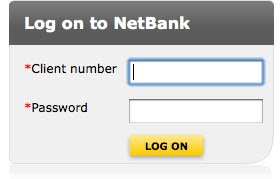 Netbanking removes the client from social interaction. The client no longer has to wait in a queue, talk to tellers, make sure they make it within the opening hours but they are able to sit in the comfort of their own home and control their money. 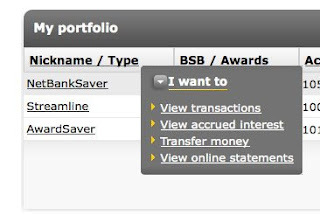 This enables them to have a better sense on how much they have in each account, who has credited an account etc. and what is going on within their accounts on a daily basis. This move to online banking has decreased the amount of teller operators in banks, with the intention of people moving over to online banking system, and reducing wage bills for bank staff. However, this also has the effect of minimising social/human interaction. In Australia one could say we are quite lucky with 67% of households having a computer with Internet access, but does this mean that everyone is using Internet banking. The obvious answer is no, but it is definitely growing a lot faster than phone banking due to its convenience and ease allowing you, the consumer, to be in control. So looking specifically at Commonwealth Netbanking, the most used information that appears on this website is repeated twice. One is the quick links section and the other is the main “conventional” top navigational bar. From my understanding of how the site works I came to the conclusion that the quick links are for people who use the site regularly and are able to navigate around the site with ease. (Young [and old] computer savvy generation) The top navigational bar is for people who use the site less often, who tend to follow tradition and don’t like change, therefore the top navigational bar makes it easier to follow and understand. These two approaches employed by Commonwealth Netbanking have the ability and capacity to target a range of different users who can choose the way they interact with the site. The layout of the website is conventional and functional which is very appropriate for a financial website dealing mainly with money transactions. It would be counter productive if it was the cutting edge of web page design as Commonwealth Banking is not trying to sell anything, the captive audience has already been decided (the bank’s clients) and it does not have entertainment value associated with it. The form of the website is dictated by the function where in other websites for example Ebay, the function can be dictated by the form which is in the business of seduction. The main purpose of Commonwealth Net banking is customer satisfaction, leading to improved profits. Comparing Commonweatlh Netbanking with St George Internet banking, straight away there are clear differences. 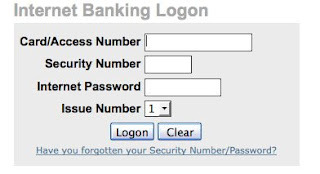 In Commonwealth Netbanking there is only a client number and password compared to St George which has a Card number, security number, internet password and an issue number. While it may not necessarily be more secure than Commonwealth Netbanking log in system it gives the appearance of being more secure which is reassuring to the average bank customer. 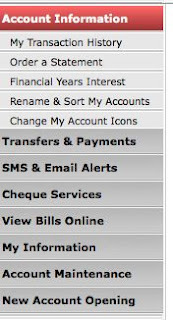 Once entering St George internet banking there are icons to represent the main user functions. Although one can change the icons it is still very pictographic which seems purely cosmetic and not very functional. To my eyes it is very confusing, although it might provide a sense of empowerment to the customer and give them the illusion of control. Although it has the same features as Commonwealth Netbanking, with a quick link (icon) based navigational bar and a left side word-based navigational bar, I believe that Commonwealth Netbanking has been more effective in dealing with this system. • 72 percent of respondents cited the issue of companies selling their records to third parties as extremely or very worrying. This issue of security has been looked at and revised by many online banking companies who now, in the 21st Century, have the task of trying to come up with the most secure way of keeping information private and confidential. The Commonwealth Bank. along with many other banks both nationally and internationally, have begun to implement an optional one use only password which is sent to the user’s mobile phone. This number is then used in connection with an unchanging client number and can only be used once to log into the client’s account. Although this is trying to reduce hackers and the like it still has risks associated with it. For example Internet hackers could change your client number marginally without anyone noticing, thus gaining entry to the account. Another factor is, although it is an optional log in way, it could isolate people if they didn’t own a phone and believed that they needed one to log in. Westpac has introduced an on-screen keypad in an effort to prevent “key-stroke logging” fraud. This new system uses the screen and mouse as a keyboard and then jumbles this information up so disconnecting the user ID from the password, which will stop hackers recording keystrokes. As an internet banking system has to combine security of client information and ease of use, the Commonwealth Netbanking has sacrificed extravagant display in the interests of the client’s peace of mind. If the result is traditional or conventional it is, for all that, effective.